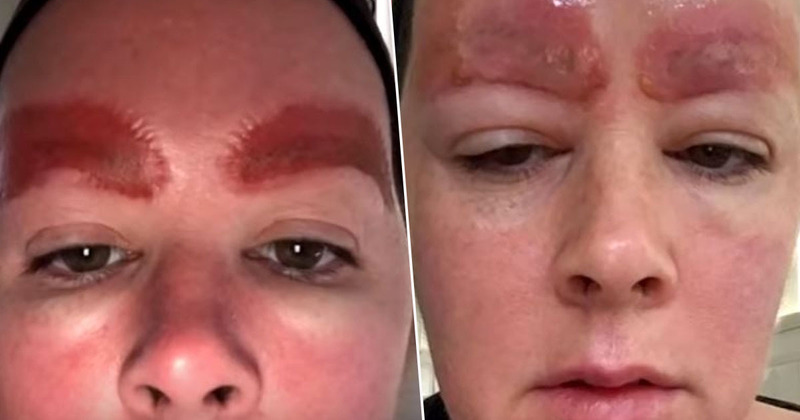 An American woman was left with a horrific infection after her eyebrow microblading procedure went wrong. The unnamed woman became a talking point on US TV show The Doctors, where specialists in health and wellness discuss beauty trends, real-life stories, and health tips. Host Dr Travis Stork introduced the segment, warning the audience the pictures would be graphic – though the poor woman’s blistered, sore-looking eyebrows were still met with gasps of horror. 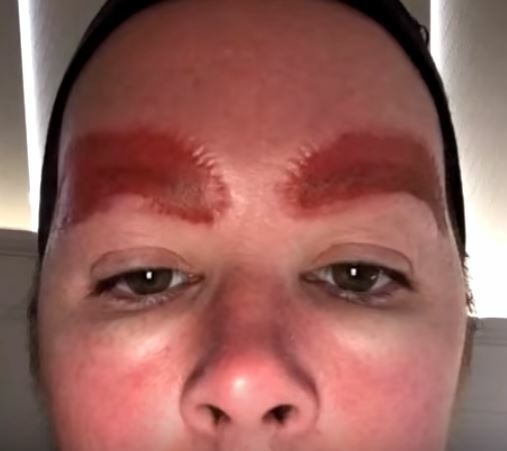 He explained the unfortunate victim of microblading-gone-wrong wanted to use her experience as a way to warn others about the dangers of the procedure, adding ‘I don’t blame her, that doesn’t look good. It looks painful’. Microblading is a tattooing technique usually intended to fill out the eyebrows. It involves using a small tool made of several tiny needles to add semi-permanent pigment to the skin, and if done right, it can look nice and natural. Clearly it didn’t go right for this particular woman. Another host of the show explained what could have caused the infection, suggesting the instruments used in the procedure may not have been sterilized, or the client’s skin wasn’t cleaned properly. Microblading is a cosmetic tattoo that people are having where little, fine, feather-like nicks are made in the skin and then tattoo ink is applied, and it’s meant to fill in those gaps in your brows. Obviously this is not what anyone goes in wanting to get done. In this case I think what happened is she had two problems. One is that when you create nicks in the skin it’s a great doorway for bacteria, and if someone didn’t use sterile instruments or there was dirt in the environment, or her skin wasn’t cleaned properly, she could definitely have got an infection or bacteria in here. The second is that I think she, by very bad luck, is also allergic to the dye. The presenter went on to explain that she always advises patients to avoid cosmetic face tattoos if they’re allergic to hair dye or any other tattoos they may have had. She added it was vital to only have the procedure done in a licensed environment, by someone with an adequate certification or training, and encouraged people to stay wary when undergoing microblading. 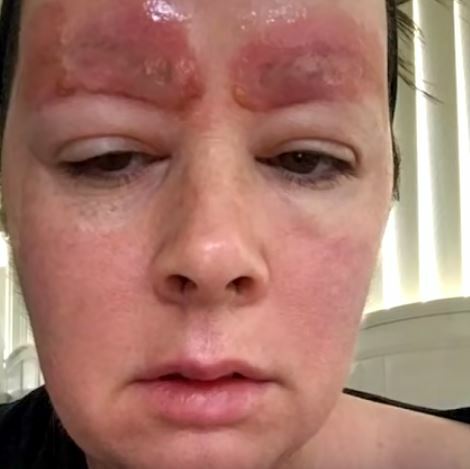 It’s unclear whether the poor woman in question managed to get rid of the infection and have her eyebrows return to normal, but hopefully she wasn’t stuck with the painful looking forehead for long!